If you’ve already beaten the main story for Batman: Arkham Knight, the good news is that additional story content is on its way with brand new DLC. The first DLC pack that will be available to players is Batgirl: A Matter of Family, allowing fans to play as the superheroine for the first time in the series. 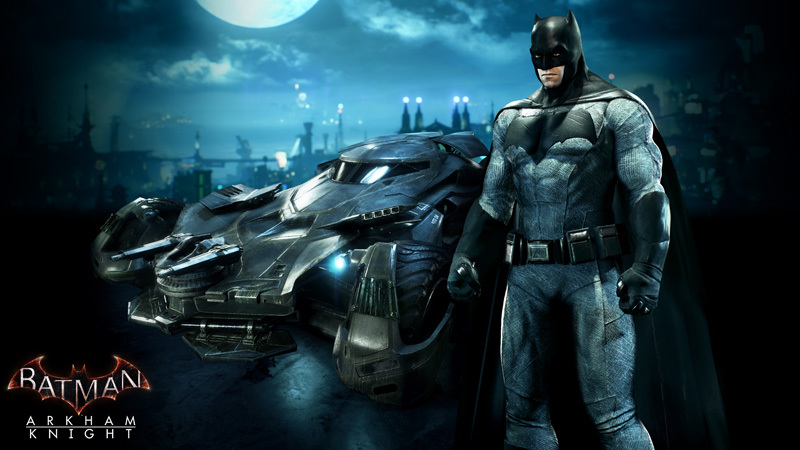 EW has the details on the pack, which is set before the events of Batman: Arkham Asylum. 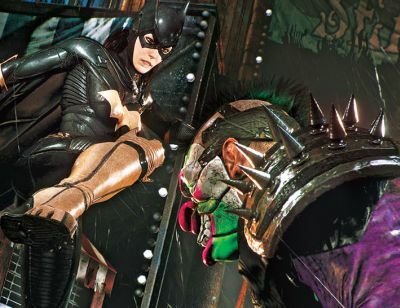 The Arkham Episode sees Batgirl teaming up with Robin to save her father, Commissioner Gordon, from The Joker at a nautical themed amusement park, an event teased in one of the game’s many Easter eggs. “We wanted to recreate the feeling of being trapped in a bizarre and unique open environment playing a game of cat and mouse with the Joker,” says design producer Justin Vazquez. “Arkham Origins” developers WB Games Montreal, who developed both the Red Hood and Harley Quinn story packs, will bring this extra chapter to life. In the pack, Batgirl won’t be quite as strong as the dark knight himself, but will balance her physical abilities with computer hacking skills, making for a ferocious combination. 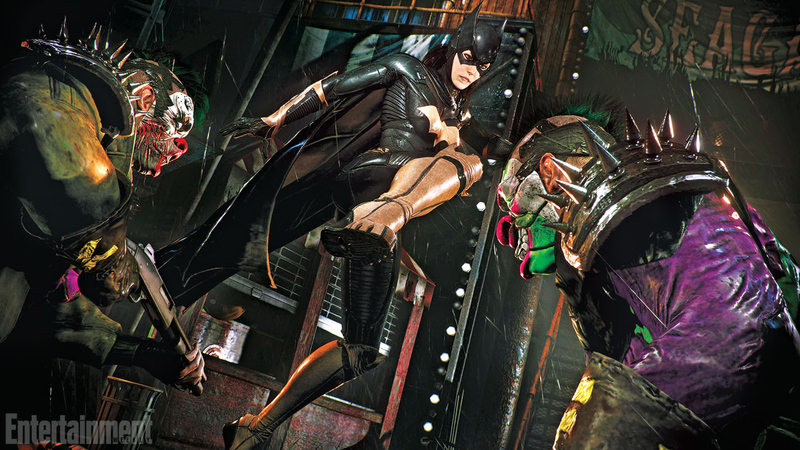 Fans will also see the return of the Duel Play function from “Arkham Knight” as they’re given control of Batgirl and Robin in a tag-team match-up against The Joker and Harley Quinn, who will be wearing her original costume from “Batman: The Animated Series” for the first time in the game franchise. Featuring additional side quests, Joker Collectibles and even more Easter Eggs, Batgirl: A Matter of Family will debut July 14 for Arkham Knight DLC ­season-pass holders (PS4 and Xbox One, $40), or separately on July 21 for $6.99.